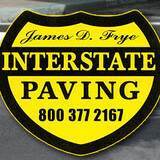 Whether you’re in need of a new or refurbished driveway, parking lot, street or road, know that you can trust Interstate Paving LLC. We have been pleasing our customers for more than 35 years. Call your # 1 Chambersburg, PA paving contractor today for a free estimate and start that project you've been waiting on! We specialize in Concrete and Stone Construction. Stamped Concrete, Exposed Aggregate Concrete, Pavers, Natural Stone and Cultured Stone. We also build all types of Retainer Walls, Concrete Natural Stone, Decorative Split Faced Block, and Versa Lok. 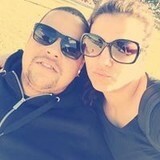 Pittsburgh Patios, Inc. Paving Driveways, Patios, we Build Porches Steps and Sidewalks. NO JOB TOO BIG OR SMALL!!! 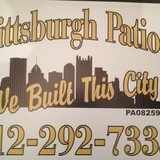 CALL TODAY TO SCHEDULE A FREE ESTIMATE WITH THE MOST AWSOME CONTRACTOR IN THE BURGH! From installation to repair, Strattanville, PA driveway contractors are responsible for a variety of planning, installation, construction and driveway maintenance services. Driveway materials. While most driveway contractors in Strattanville, PA primarily work with asphalt, they are also experts on the wide range of available driveway materials. If you are looking for something different than a standard asphalt driveway, your pro can help you select driveway pavers or customize a brick driveway design. A driveway installation and maintenance professional may work closely with a Strattanville, PA builder, landscape professional or various manufacturers and suppliers. Find a Strattanville, PA driveway installation and maintenance professional on Houzz. Narrow your search in the Professionals section of the website to Strattanville, PA driveway installation and maintenance. You may also look through Strattanville, PA photos to find examples of driveways that you like, then contact the professional or contractor who worked on them.